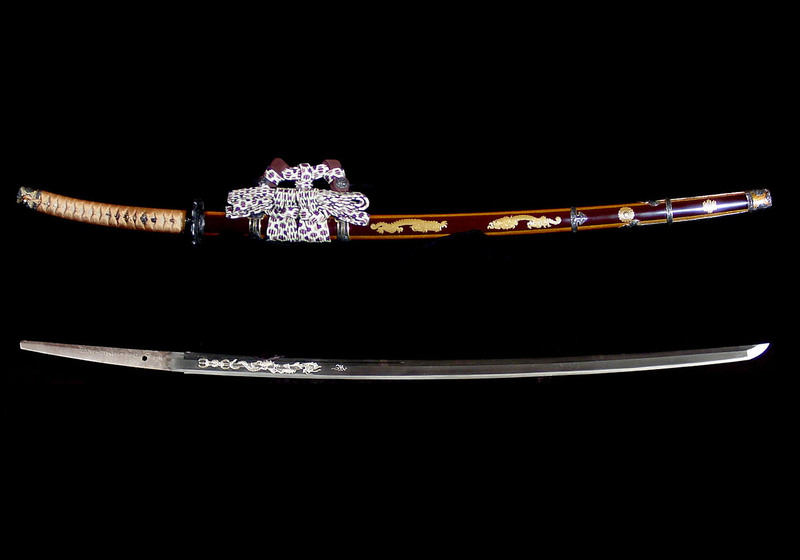 This is a fine katana by Shodai Hizen (no) Kuni Saga Jû Minamoto Yoshifusa (肥前国佐賀住源良房). He is rated as a Jô-saku smith by Fujishiro. Yoshifusa worked around 1624 (Kanei) and was a student of the Shodai Tadayoshi. His given name was Mozaemon and his first signature was Tadafusa. Later changed it to Yoshifusa. His working style is like that of Ômi no Daijô Tadahiro. 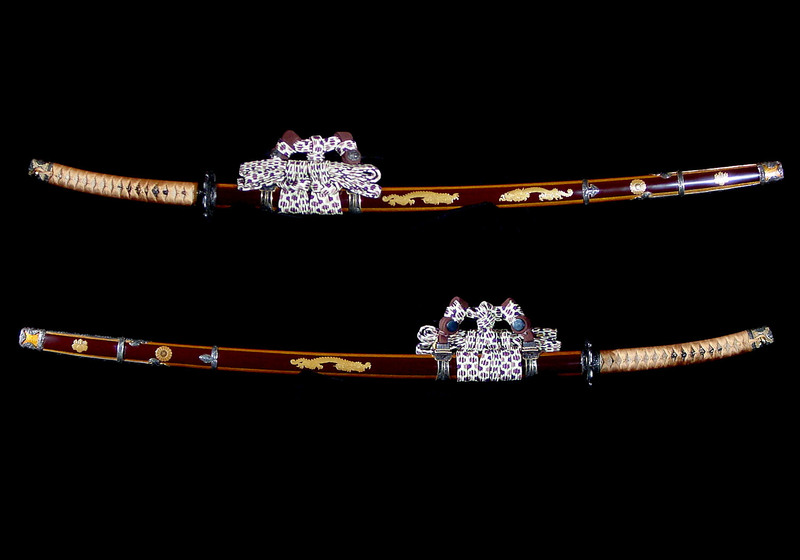 This tachi is a wonderful example of his work. 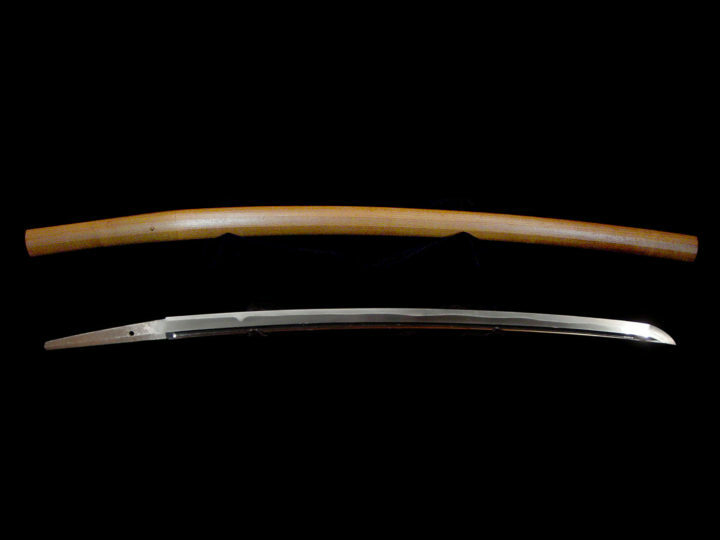 It is a long sword measuring 29.875 inches or 75.9 cm. 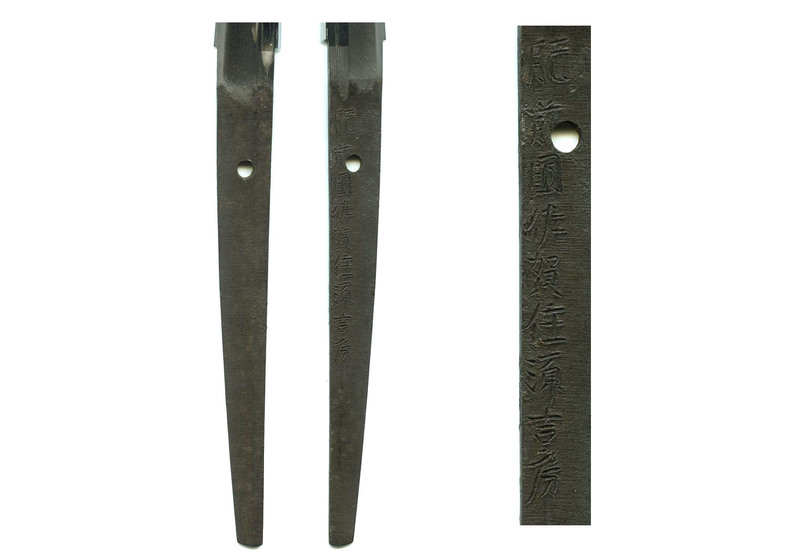 The moto-haba is 1.12 inches or 2.9 cm and the saki-haba is 0.78 inches or 2.0 cm. 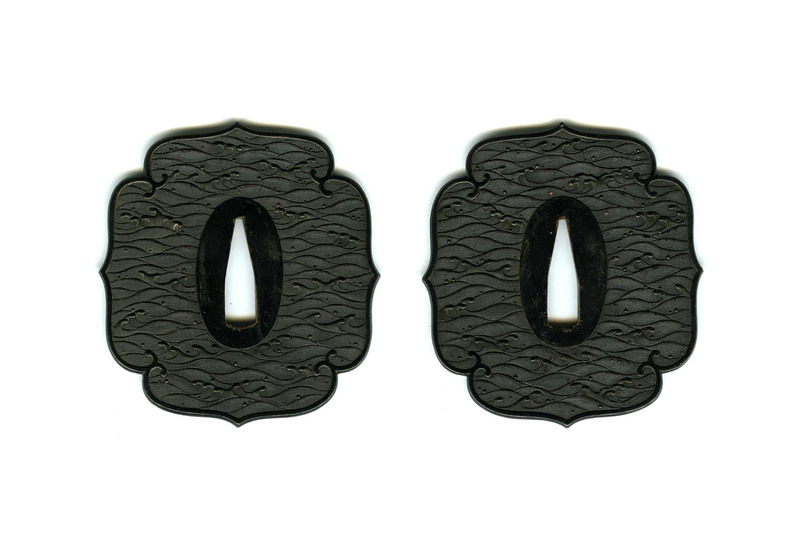 It has a graceful torii sori measuring 0.64 inches or 1.6 cm. 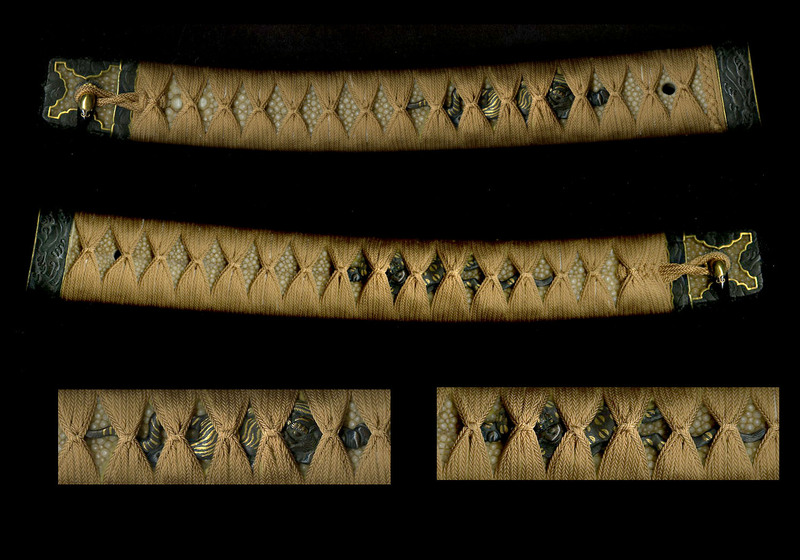 The jitetsu (hada) is a combination of ko-itame, flowing itame, and some mokume. There is abundant ko-nie in the ji forming chikei. 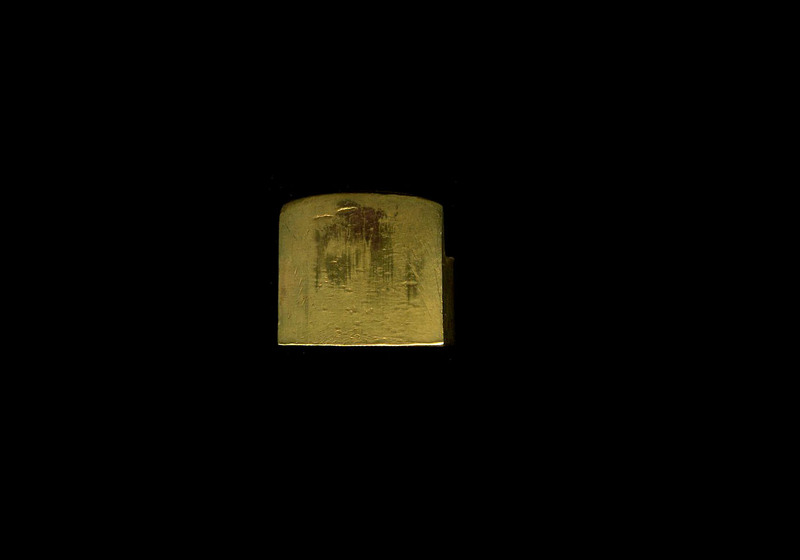 There is even a form of shirake utsuri along the shinogi-ji. 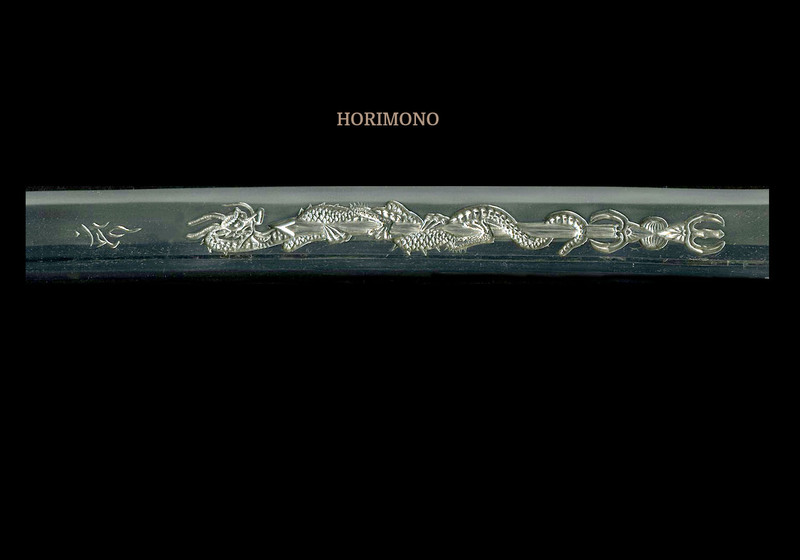 The hamon at first glance appears to be a narrow suguha. Closer inspection reveals that it is really comprised of a very beautiful ko-gunome with abundant ashi and other activities. In fact, it reminds us of the fine Awataguchi blades of the Kamakura era. There is a chu-kissaki with a ko-maru shape and a short kaeri. 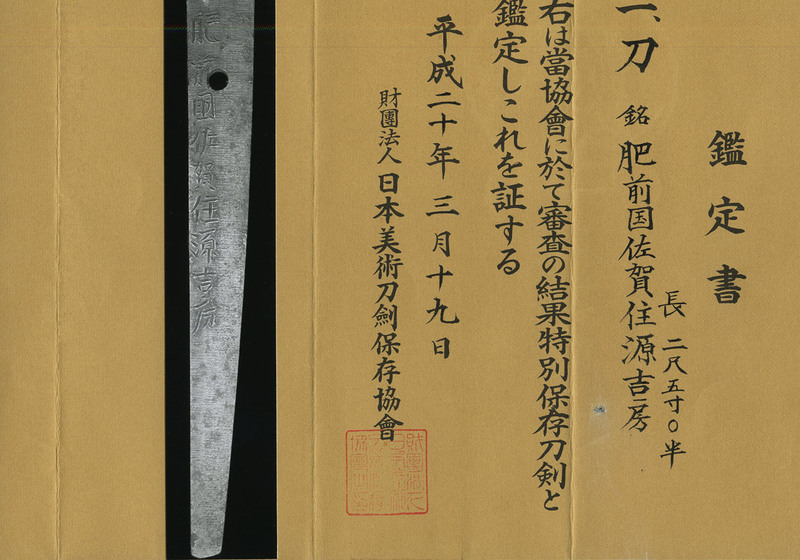 Of special note on this blade is the kirikomi (sword cut) on the mune about one-third of the way up the blade from the machi. 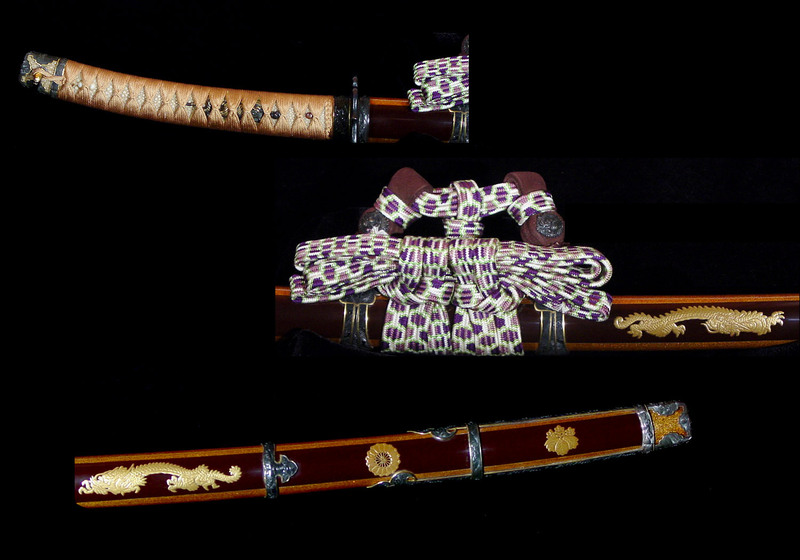 As has been stated, this smith worked in the beginning of the Shinto era after the period of constant warfare was over. 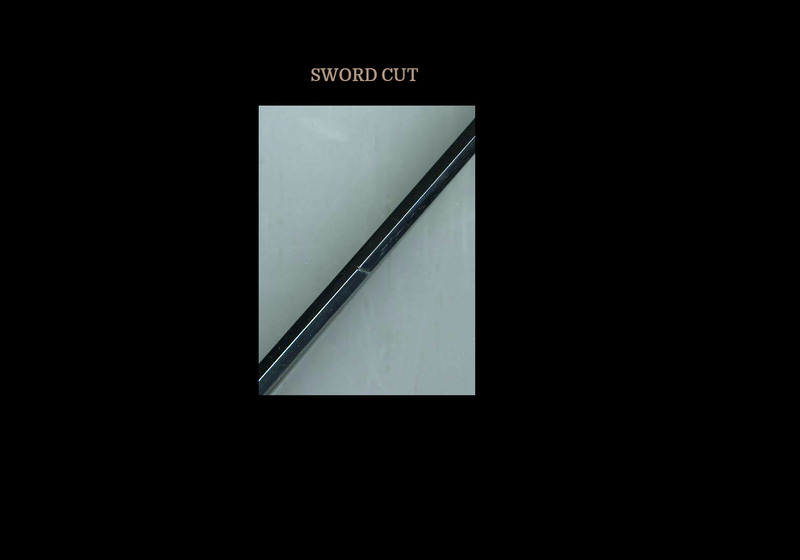 However, this blade was made around the time of the famous Shimabara Rebellion so it is reasonable to suppose that it might have acquired this cut at that time. 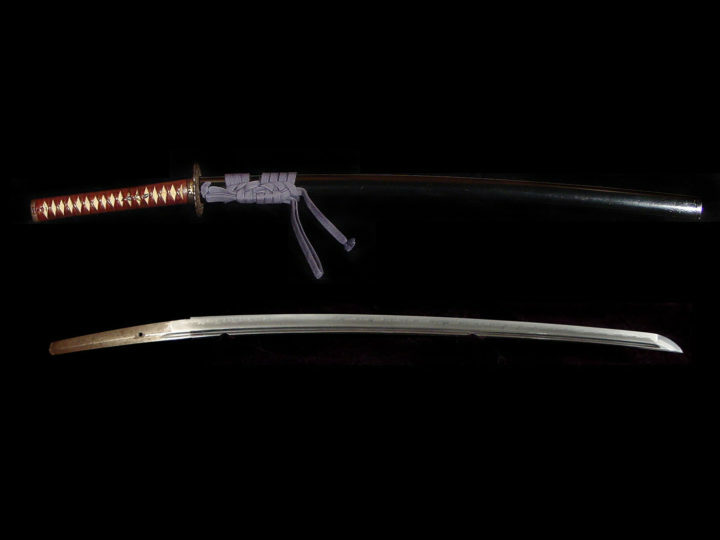 After all, it is a Kyûshû made sword and the rebellion was in Kyûshû. Of course, a more likely explanation would be that one of its owners over the last 400 or so years got into a brawl and it was at that time that the blade acquitted itself well and obtained its mark of battle. 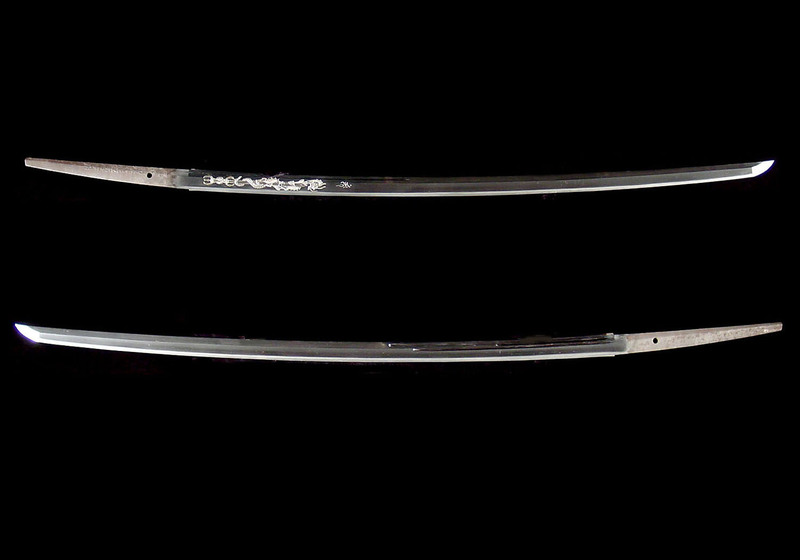 The nakago is long and tapered with the nine character mei signed on the tachi side of the blade. 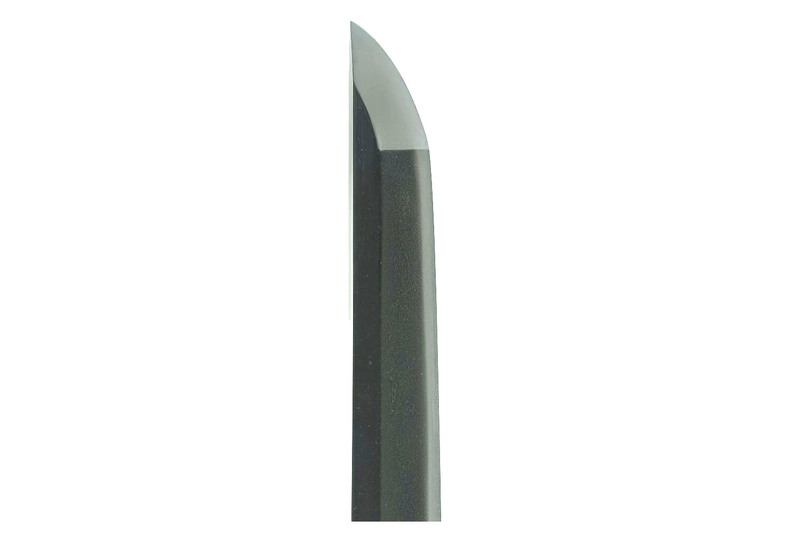 This is the prevailing side for the mei on the Tadayoshi school of Hizen blades. 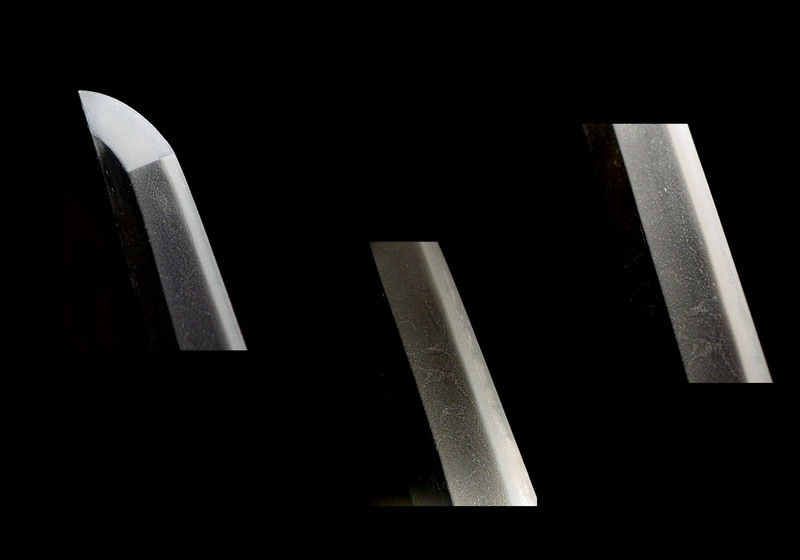 Even though the Hizen blades of the Tadayoshi school are all signed on the “tachi mei” side of the tang, we most often call them katana. 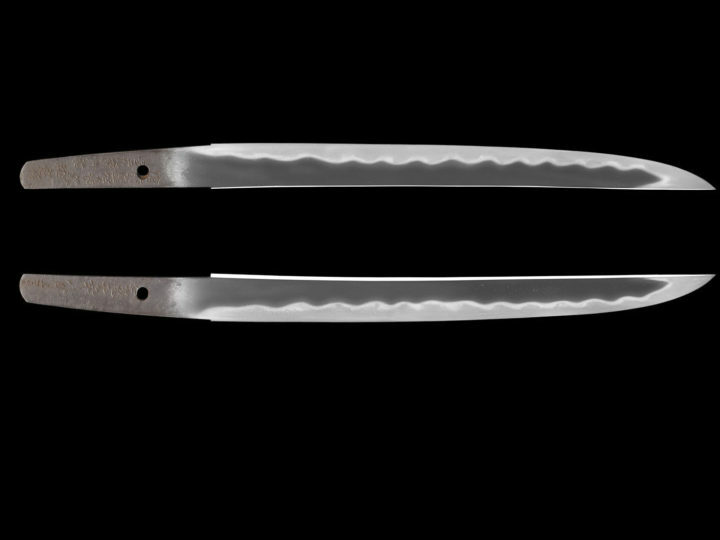 This is because they are mounted as katana with the cutting edge worn up. 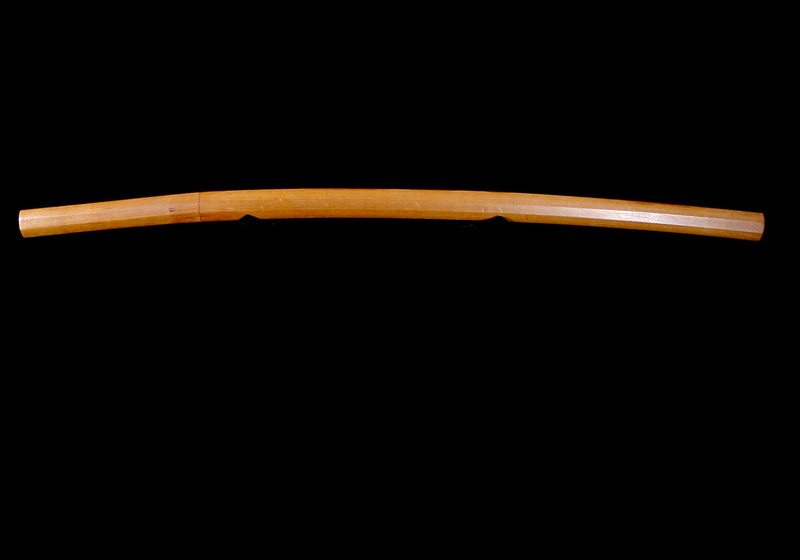 This blade, however, can be called a true tachi because it is mounted in an absolutely outstanding tachi koshirae. 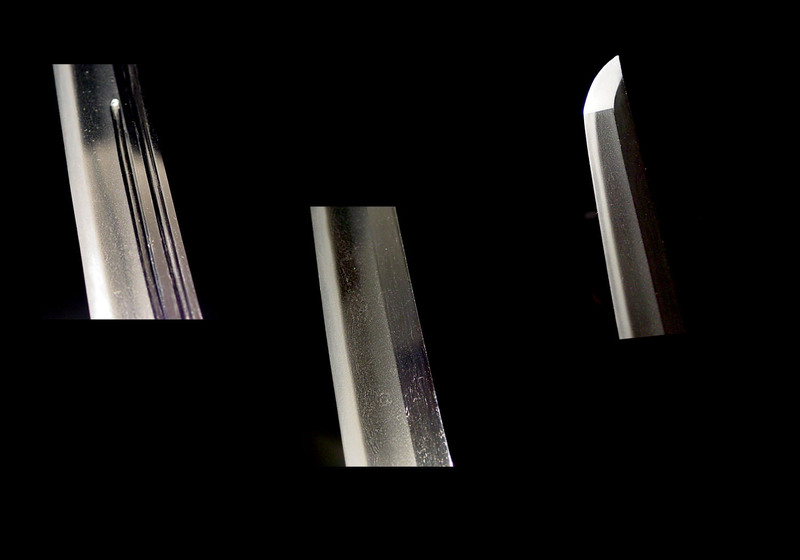 I think the photos below show the quality of this koshirae. 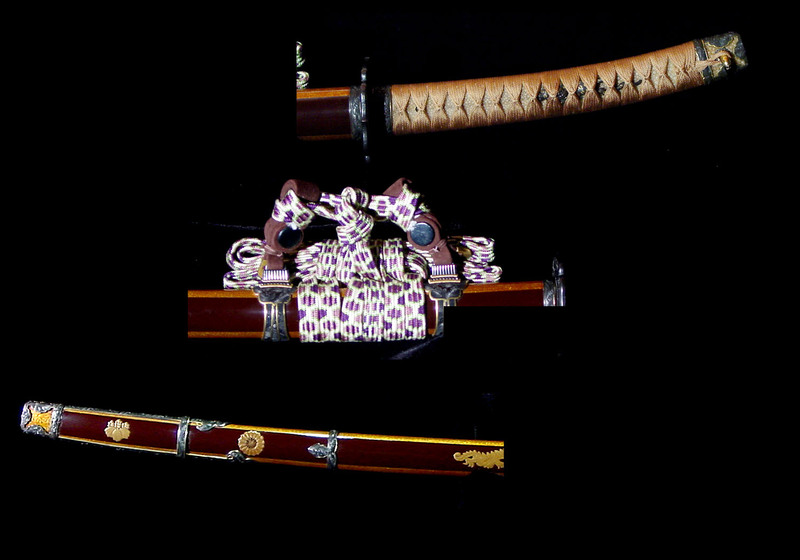 It should also be noted that this sword and koshirae comes in a custom made box especially designed for the koshirae with a compartment underneath for the sword blade. 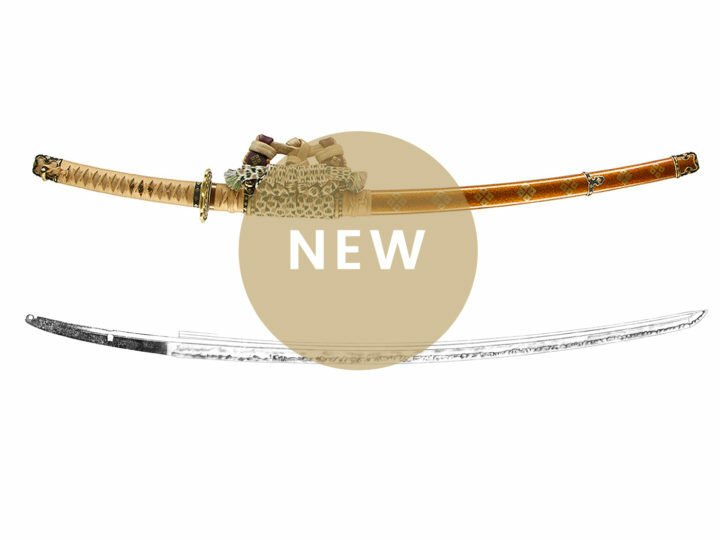 Finally, this sword comes with NBTHK Tokubetsu Hozon papers attesting to the authenticity of the signature and the quality and condition of the blade.